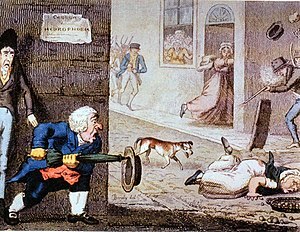 English: 19th century cartoon of a rabid dog in a London street (Photo credit: Wikipedia) This has nothing to do with dates but I couldn’t find a free cartoon on the subject so I went with rabies instead. 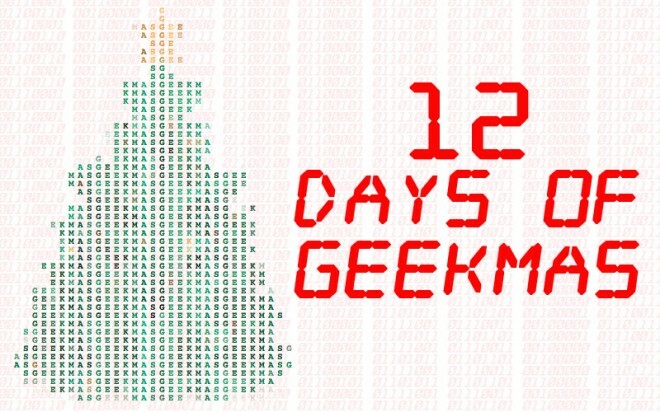 With a dentist at the hospital today so I wasn’t going to blog; but my good friend Dave (a statistician and therefore number geek upon whom I can rely in these matters) informs me that at some point – well, at an actual point – today it will be 11/12/13 14:15. In its honour, I will schedule this post for 2:15. As I was writing this, Tory Boy informed me that today is the last sequential date of this century. Can that be right? Dave? Today has an interesting date. I wouldn’t mention it, however, except that there won’t be another like it for many years. Having mentioned it, I can’t think of anything interesting to say about it. Question: What word do you use when all numbers in the date are the same? For example, tomorrow is the 8/8/2008. is there a word for this numerical phenomenon? I’m in Australia. Its the 7th now. Answer: 666 called the devil’s number……………. Answer: Umm… isnt the day after tomorrow the eighth? There’s a surprising amount of stupidity on the internet. I assumed there are only twelve occasions in a century when the numbers in a date are the same e.g. 1/1/1, 2/2/2 etc., but I read elsewhere – on the internet, of course – that there are 14. The writer cited 1/11/11 and 11/11/1 but what about 11/1/11 and 1/11/1? And isn’t it cheating because 1. There should be a zero in front of the ones and 1.1. One is not the same number as eleven? If I use those arguments, I have a little problem myself: I lose nine dates i.e. 01/01/01. 02/02/02, etc. Today’s post has been brought to you by the Number Twelve, and by a whiff of desperation. My old school friend Dave reminds this number geek that today is 10.11.12. I adore interesting numbers but I did them to death last year, if you remember. The date is the only interesting thing about today, unless you count the sausage and egg oven bottom barms we had for dinner; and they were interesting only in an air quotes sort of way, because I got a little hysterical during the egg frying. 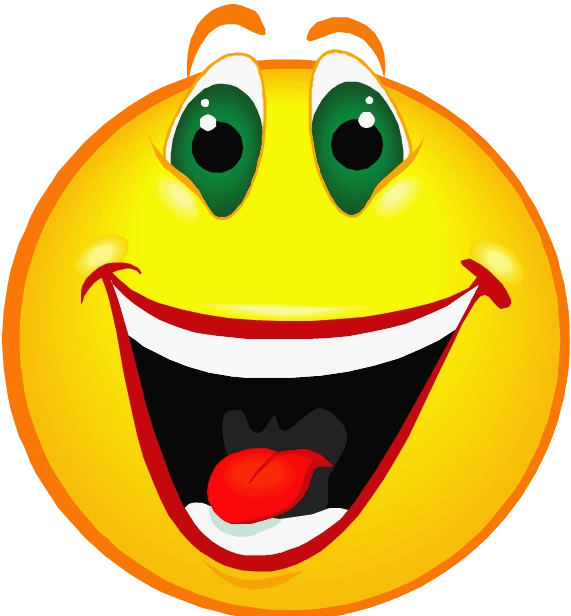 The internet had nothing interesting to say about today, though I did keep picking up that in the year 1582 there was no October 11th in some European countries because of the implementation of the Gregorian calendar. I couldn’t understand why it kept telling me something thirty days and 430 years out of date until I realised I was looking at American sites and that America is backwards. About dates, that is. In the US, today is 11.10.12. Many apologies for the late posting of this joke; I thought I had scheduled one for this morning. Obviously not. A woman waited more than an hour and a half for her date to arrive, before deciding she had been stood up. She changed from her dinner dress into pyjamas and slippers, fixed some popcorn and resigned herself to an evening of TV. No sooner had she flopped down in front of the TV than her doorbell rang. There stood her date. I feel I ought to acknowledge the date, it being Friday the 13th; but I’m not at all superstitious so, other than, ‘I’m not at all superstitious’, I don’t know what to say about it. I trawled my archives to see if I’d written about this date before, and all I found was this post from 2009, which starts on Friday 13th. Enjoy. Wonderful son tells doting mother he will be catching the earliest train home from uni next weekend (Sunday). Doting mother disgorges humongous chicken from tiny freezer; checks every detail of wonderful son’s untainted bedroom; extra-cleans house. Doting Mother phones wonderful son to see what time he will be arriving. Calls twelve times until dear son wakes up. Forgets to ask about train times. Loving Mother phones dear son to find out about train times. Annoying son answers after thirty-seventh time, claiming to have been in the bathroom. Enraged Mother so angry she can’t hear what inconsiderate brat is saying; he sends a text. Livid Mother decides to eat way-too-large chicken herself; notices it is uncooked and opts to beat ungrateful offspring with it, if and when he finally arrives to visit the woman who underwent massive weight gain and major surgery to give birth to him. Suspicious Mother suddenly remembers that she checked the train times herself last week, and the earliest train handsome son can get is 11:38 and thus has no need to wake up early to reassure over-anxious and forgetful mother that he will be home as early as he can. Contrite mother agonises for many minutes on whether to phone righteously outraged son to apologise; send a grovelling text; or pretend nothing has happened. Ponders the possibility of a terrible train accident that will rob her of the chance to say ‘sorry’ and leave their last conversation as their last conversation. Decides she can’t take the chance and texts wonderful son to tell him to read today’s blog. Wonderful son arrives home to doting mother. She hopes. The best son in the world phones to reassure his neurotic mother that he still loves her; to explain that his phone was on vibrate from last night, which is why he didn’t hear it in the toilet; to confirm that he forgives her; and to apologise for missing the earliest train home due to a misunderstanding about Sunday bus timetables, but believes he will get there eventually. Much relieved mother relaxes, knowing now that any train crashes won’t leave her living a guilt-filled life; and retires to the kitchen to swallow chickens and put aspirin in the oven.